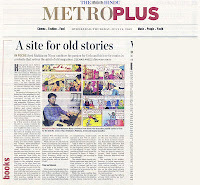 Source: 'The Hindu' daily, Hyderabad-India. Syed Mukarram Niyaz combines his passion for Urdu and his love for comics in a website that revives the spirit of old magazines. ...It was while discussing the futility of this search to friends that the idea to create a website for Urdu comics struck Syed. 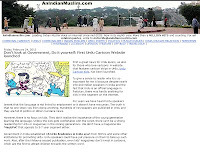 Experience taught him that comics are a great way to initiate a child into the habit of reading and seeing that Urdu needed a boost he and his team, which consisted of his family and a cousin, Syed Nouman, a specialist in business marketing, put their heads together and created www.urdukidzcartoon.com – the first of its kind. Source: 'The Sunday Guardian' weekly, NewDelhi-India. During a discussion on how children should be encouraged to read, rather than watch TV, Riyadh-based civil engineer Syed Mukarram Niyaz realised something — though children love to read comic books, there are none available for the Urdu-speaking population in India. It was this lacuna that prompted Niyaz to launch Urdu Kidz Cartoon, a first of its kind website for popular comics in Urdu. ...Niyaz's main objective is to inculcate a reading habit among Urdu speaking youngsters. He also wants to highlight and showcase the rich linguistic culture of Urdu, i.e. the Urdu tahzeeb. 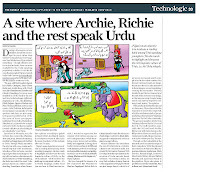 First a great news for Urdu lovers, as also for those who love cartoons. 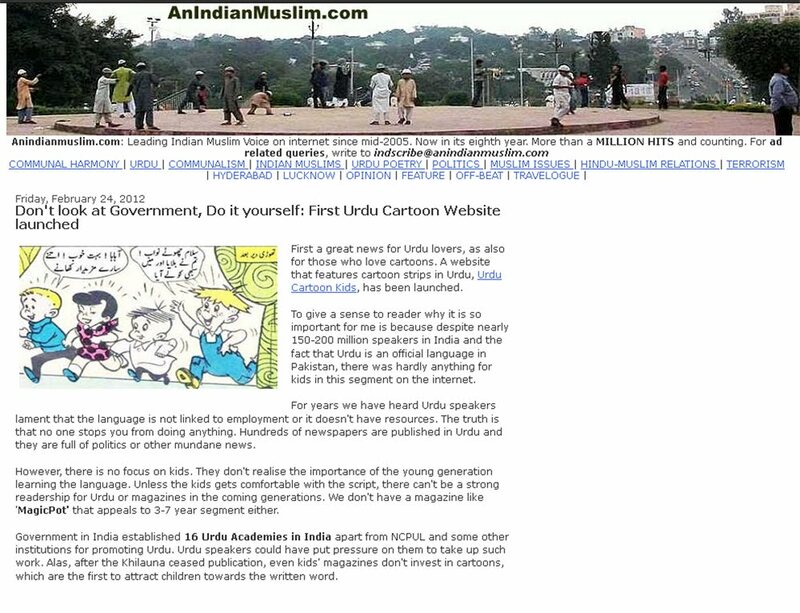 A website that features cartoon strips in Urdu, Urdu Cartoon Kids, has been launched. 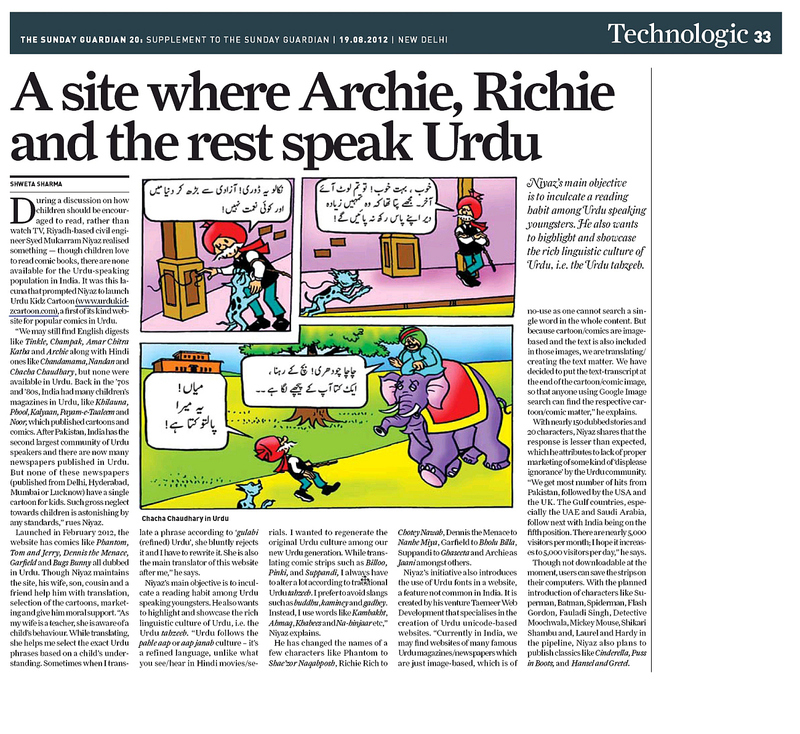 To give a sense to reader why it is so important for me is because despite nearly 150-200 million speakers in India and the fact that Urdu is an official language in Pakistan, there was hardly anything for kids in this segment on the internet. 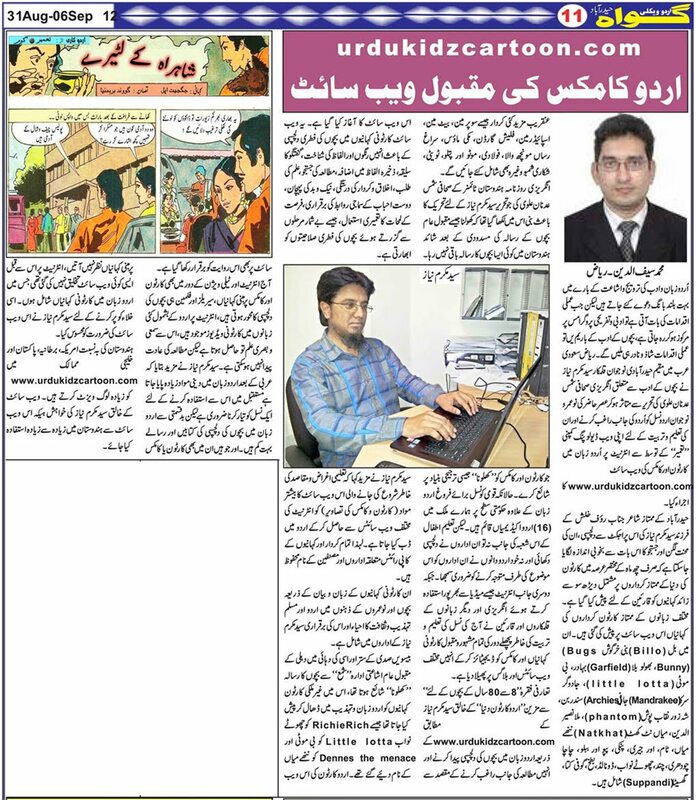 ...Just last month I had written the post 'No cartoons, comics in Urdu newspapers' on this blog and had written a post earlier also. Within a month, I am witness to the birth of this website. Now it's our job to take the site ahead, in terms of suggestions, at least. There are many endeavors going on throughout the world for the promotion of Urdu language and to save its very existence. But a Riyadh based civil engineer due to his love for the language come up with an exciting solution to work on the very foundation of the problem, i.e. attracting the younger generation towards the language. 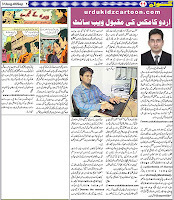 Syed Mukarram Niyaz a Hyderabadi working as a civil engineer started Urdukidzcartoon.com world’s first Urdu comic book website to promote Urdu language and fun learning of the Urdu vocabulary for the new generation of Urdu speakers. ...Mukarram said his accomplishment is not for commercial purpose, its sole aim is to promote Urdu language among the new generation and increase the Urdu vocabulary of kids in a fun learning method. Source: 'Etemaad' Urdu Daily, Hyderabad-India. Source: 'Gawah' Urdu Weekly, Hyderabad-India. Source: 'Arab News' daily, Jeddah-Saudi Arabia. Niyaz said the website makes a special effort not to publish stories that promote hatred toward any culture, religion, language, caste, creed and specific religious stories that have contradictory points with respect to basic Islamic principles.